Issuing a rent receipt may be a legal requirement in your jurisdiction. Failure to do so may result in a fine if reported to the relevant authorities. However, it is good landlord and business practice to keep proper documentation of all your property transactions, whether or not you are compelled by law to do so. Especially where payments are made in cash or by cashier's check, it is vital for tenants to insist on proof of payment to avoid possible disputes at a later stage. 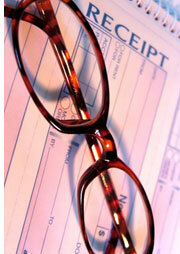 Tenants may also require rental receipts for tax purposes. We also make provision for you on the recipt of payment to note any amounts outstanding, with a notice to the tenant to settle the amount before a specified date. Our cash receipt template can easily be copied into your word program - the layout fits 2-up on an A4 sheet. Please refer to our legal form instructions for assistance on the downloading or printing of our forms. You can customize and pre-print all the standard information such as the property detail and landlord information, leaving only the date, rental amount etc. to be filled in by hand. The landlord should keep copies of the completed receipt forms with the tenant's other documents, e.g. Our main Real Estate Contracts page has additional guidelines and many more free contract templates for landlords. Receipt is hereby acknowledged of the sum of $__________ (______________________ dollars) as payment towards the rental of the Property detailed above, for the period of __________________20____ to _________________20____. An outstanding balance of $_____________ is due which is payable by the Tenant on or before ____________________20____. * A personal check becomes valid tender only when cleared through the finance institution. Note: For the purpose of this cash receipt template, the EFT block is intended for direct transfers from the tenant's account to that of the landlord. Direct deposits by the tenant such as cash or check will be marked in the other spaces provided.